PFA or Perfluoroalkoxy alkane are fluoropolymers. PFA, FEP, PTFE, the chemical properties are similar, but FEP can only be used below 200℃, and the big difference of PTFE is that the PFA allow the polymer to be melt-processed. This kind of resin can be directly processed into products by ordinary thermoplastic forming method. Suitable for making corrosion-resistant products, antifriction wear parts, seals, insulation and medical equipment parts, high-temperature wire, cable insulation, corrosion protection equipment, sealing materials, valve bushing, and chemical containers. 1. A copolymer of polytetrafluoroethylene and polytetrafluoroethylene. The melt adhesion increases and the viscosity of the solution decrease, while the performance does not change compared with that of PTFE. This kind of resin can be directly processed into products by ordinary thermoplastic forming method. 2. long-term use temperature -80--260 degrees, have excellent resistance to chemical corrosion, to all chemicals are corrosive, the lowest friction coefficient in the plastic, and good electrical properties, the electrical insulation is not affected by temperature, with "the king of plastic". 3. Its chemical resistance is similar to that of polytetrafluoroethylene, better than that of vinylidene fluoride. 5. Suitable for making corrosion-resistant parts, wear and tear resistant parts, seals, insulation and medical equipment parts. 6. High-temperature wires, cables, insulation, corrosion protection equipment, sealing materials, valve bushes, and chemical containers. 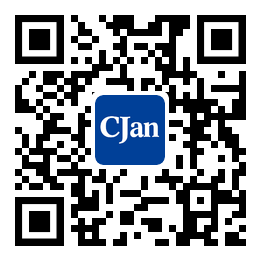 CJan- Teflon hose fittings manufacturer, we insist on technical development, continuous product innovation to make our products to meet various industry’s international standard. Teflon fittings using food grade PFA particles by high temperature melting and stainless steel products as a whole, the surface is smooth, with sanitary structure, resistant to full vacuum, the temperature range of -60℃ to +230℃. Mainly used for conveying strong corrosive chemicals, hot air, hot oil, steam and so on. The use of Teflon hose fittings matching with Teflon hose is widely used in pharmaceutical, cosmetic, chemical, acid and alkali corrosion etc. Fitting standard: A-A-59326/DIN 2828FEP or PTFE liners are available.Virgin and anti-static liners are available.Remark: Can be customized.